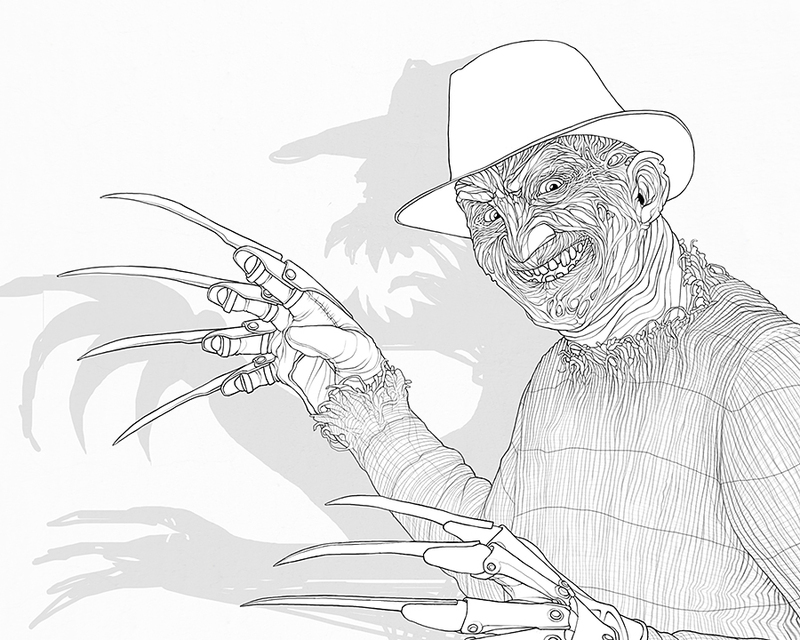 A personal fanart illustration I made after binge watching the fantastic Nightmare On Elm Street movies. 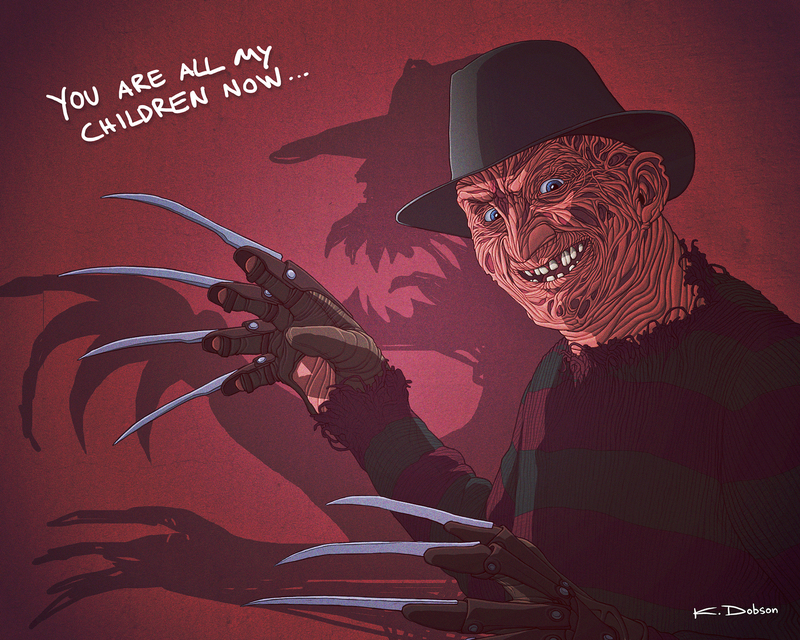 Heeeeere's Freddy! Never managed to finish it due to a hard disk crash, sadly enough. Created in Adobe Photoshop.